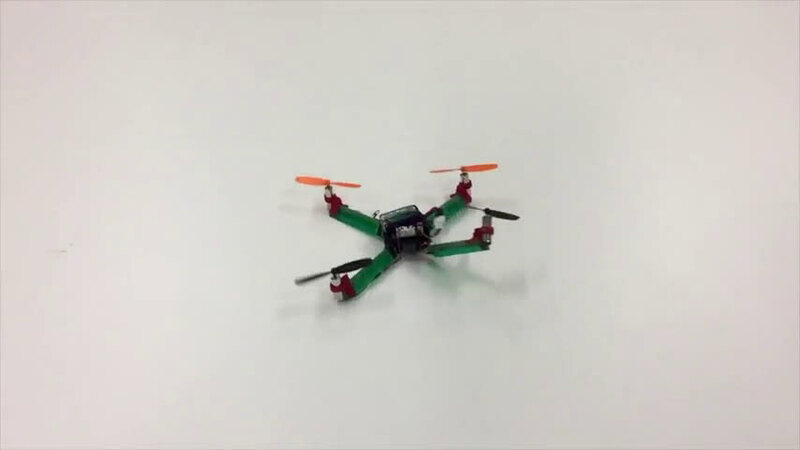 In recent years, robotics experts have taken a page from the traditional Japanese practice of origami and come up with light, flexible, and highly innovative robots and drones. 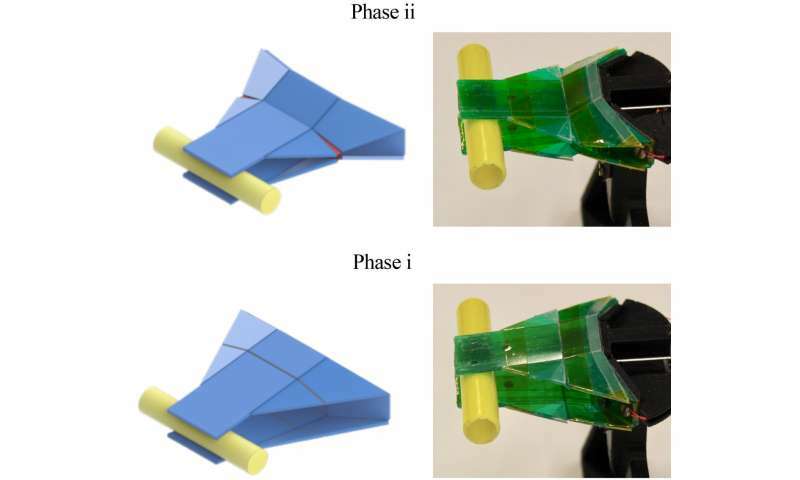 Two types of origami-inspired structures have emerged: rigid structures that have a certain weight-bearing capacity, but which break if that capacity is exceeded, and flexible, resilient structures that cannot carry much of a load. 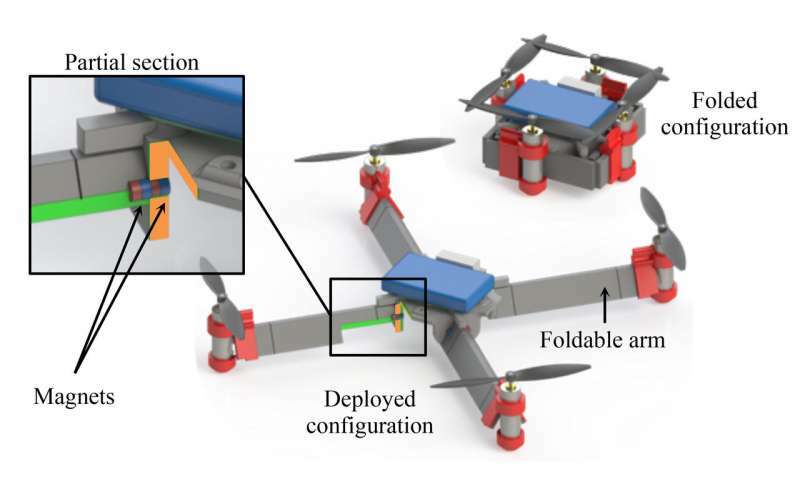 EPFL researchers, applying what they observed about insect wings, have developed a hybrid origami drone that can be stiff or flexible depending on the circumstances. When airborne, the structure is stiff enough to carry its own weight and withstand the thrust of the propellers. But if the drone runs into something, it becomes flexible in order to absorb the shock and therefore minimize any damage. This research, which is being carried out in Dario Floreano's Laboratory of Intelligent Systems, has been published in Science Robotics. The drone's resilience comes from a unique combination of stiff and elastic layers. An elastomer membrane is stretched and then sandwiched between rigid plates. When the system is at rest, the plates hold together and give the structure its stiffness. But when enough force is applied, the plates draw apart and the structure can bend. 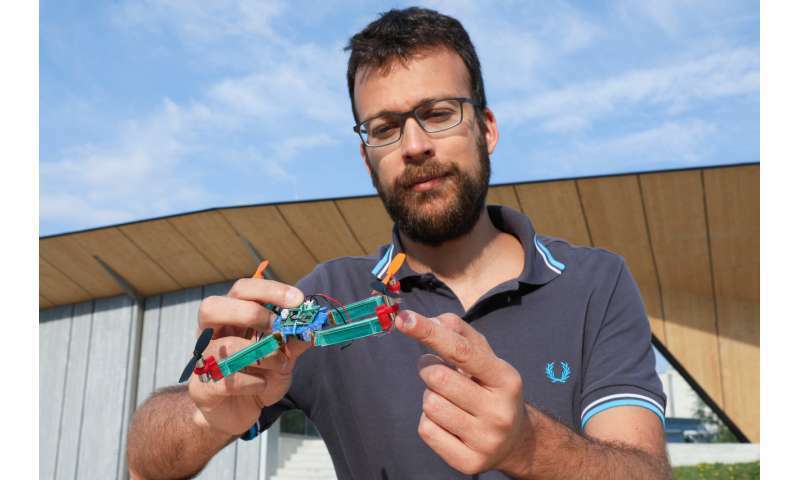 "When we make a drone, we can give it specific mechanical properties," says Stefano Mintchev, the study's lead author. "This includes, for example, defining the moment at which the structure switches from stiff to flexible." And because the drone builds up elastic potential energy when it is folded up, it can unfold automatically when so instructed. Structures that are stiff and flexible at the same time have a range of other potential applications, as well. 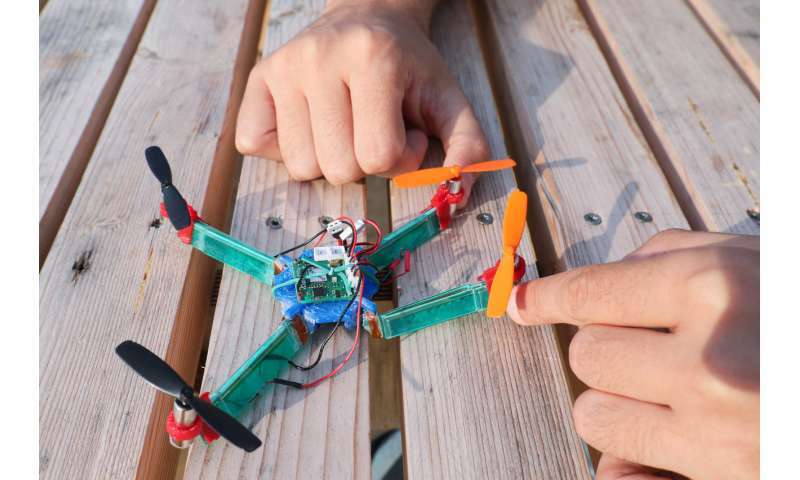 As they were developing their drone, the researchers used the same technology to create a soft-touch gripper. The gripper softens once it reaches a certain level of pressure so as not to break the object that it is picking up. This also means it cannot pick up a load that exceeds its capacity. "The current trend in robotics is to create softer robots that can adapt to a given function and operate safely alongside humans. But some applications also require a certain level of rigidity," says Floreano. "With our system, we have shown that you can strike the right balance between the two."